As an eCommerce marketer, one of the questions you ask yourself is; how can you get the most out of every test you do in the shortest time possible? Tests, or more specifically A/B tests, are made so that a website owner can gather information on what works and what does not work on your website. These tests can be run on almost all the aspects of your website. But the question is, how can you make the most of it? 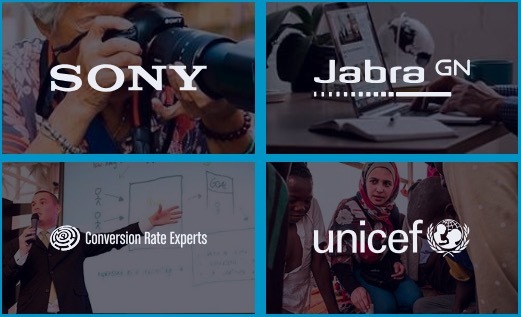 In a recent webinar hosted by Convert, Creative Thirst‘s Bobby Hewitt shows how you can get the most out of each test taken. He also shows the advantage of selecting the best marketing agency and ways you could go about the whole issue of A/B testing. While most website owners run their own tests, there are also agencies that offer such services. You can view the entire webinar here. In this case, the amount of traffic does not matter. It is only about getting to know that type of traffic you get, and getting to know how to reach your target audience. The way to do this may surprise you. One of the major mistakes that online marketers commit is how they use the same A/B testing or multivariate testing technique without even knowing or understanding how to gain true leverage. In the webinar, you’ll be learning advanced techniques and easy to understand formats that is simple enough to be implemented straightaway. The best thing about this technique is that it can be applied in any situation or website. There are many ideas that one could use depending on what you are testing. Great tools such as A/B testing software” href=”https://www.convert.com/” target=”_blank”>Convert that make it very easy to test anything that you can dream of. But most marketers aren’t approaching their test correctly. Good A/B testing can have an effect of more than 300% increase. However, most eCommerce marketers are still struggling to even achieve a 50% lift. There is no quick tactical for testing,but rather an approach to testing that you can use for every single one of your test to gain insights, and more results in less time. Most marketers unfortunately don’t understand the basics of testing and they’re just throwing up test ideas trying anything or copying other test case studies, to see what works. Variable. A variable is a general element that you intend to test. An example would be a headline, or an image, or the layout. Value. A value is the specific version of the variable that you intend to test. If the variable is the headline, then your values would be the different versions of that headline. Treatment. A treatment is the display of your new values for the variable you are testing. It can simply be interpreted as worthy element your testing looks like.